Jack Archer presented a plaque he helped produce to commemorate recently deceased Club member Steve Foster. 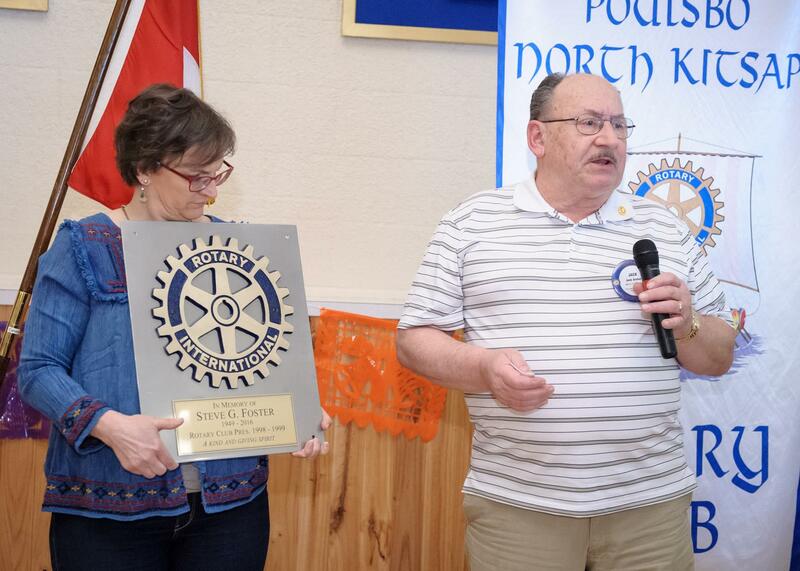 Steve was a past club president and multiple time honoree of Rotarian of the Year. His memorial plaque will be attached to a railroad caboose play structure Steve built at Martha and Mary Preschool.